Arrange the sponge cakes on a serving dish. Remove the lid from the lemon curd jar and heat in the microwave for 30 seconds on high to warm and loosen it. Fill the cakes with the curd. Top the curd with berries, whipped cream and lemon zest and serve. In Recipes-list.com we have selected the most viewed recipes from category - uncategorized . Enjoy the best recipes specially selected for you! 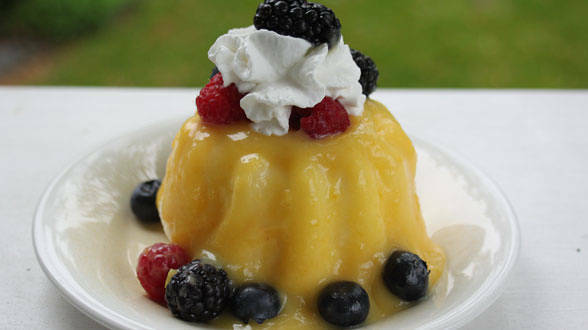 BLCC: Berries, Lemon Curd Cakes is the right choice that will satisfy all your claims.